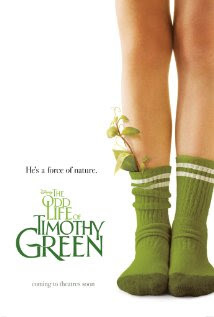 I really intended to see and review The Odd Life of Timothy Green. But the end of summer got really busy and I never saw the film. So the Between Wife and Tween went off alone to see it and both gave it ringing endorsements. So we bought the film and I recently watched it at home with seven loved ones. And I admit, I think that watching those that I care about enriched my viewing experience. Presented By: I started The Odd Life of Timothy Green in a grumpy mood. And it was the title cards that put me there. Instead of opening with a title card that said Walt Disney Pictures Presents, we got Disney Presents after the castle opening. I am sorry. There is no reason to mess with a brand and legacy started in 1923. The Walt Disney name has translated as family entertainment for decades. I can see not putting Walt Disney Presents in front of a movie like The Avengers. But a movie like The Odd Life of Timothy Green which I think Walt Disney would have approved of, being a wholesome family offering, should have Mr. Disney’s whole name on it. Call me old fashion but if you want to mess with the studio name, roll it back to the Disney Brothers Studio, otherwise there is no other reason in my mind to truncate the Walt Disney name. Man of Steel: So one of the next big non-Mousey superhero movies is the Superman Man of Steel film. In the trailer we see Pa Kent, played by Kevin Costner, struggling with a question about Clark and revealing his uniqueness. Should Clark let someone die to hide who he is? When I see this scene I see a parent reflecting on the consequences of letting the world know the uniqueness of their child. Will he be seen as a freak? Will someone take him away? Will someone try to kill him? The “him” easily could be Superman and Timothy Green. It is very odd that a young boy would be growing leaves. As a parent I feel with Cindy and Jim as they struggle with how to allow Timothy to be himself while still protecting him from a world that can be harsh. Fake Kids: I have to congratulate Rosemarie DeWitt who plays Cindy’s sister Brenda Best. Brenda is the kind of person that clearly cares about looks and putting out the image of propriety before being well, kind. She makes several comments about Timothy and his at times odd behavior. The delivery of these comments set my opinion that I strongly disliked this character beginning at her first conversation with Cindy where she asks Cindy about her desire to have a “real kid!” I have to admit, there is somewhat a question in the back of the audience’s mind if Timothy is real or something magical and non-human. They are clearly establishing that for Brenda, adoption is a lesser route than typical family planning. I don’t want to spoil Cindy’s perfect reaction and one that I can hear friends with adopted children deliver. Cindy knows that Timothy is her son, even if she skipped the birthing room. Again, I have to congratulate DeWitt, she is able to portray this character that it reminded me that all kids are real ones and deserve a family to call their own! Keep Moving Forward: In my mind, Timothy was around the same age as the Between Tween. But Timothy unlike the Tween, was born into that age and did not have the time to pick up the skills that other children would have had in a lifetime of typical child development. So Timothy is at times awkward! But you have to love his attitude, an attitude that would make Cornelius Robinson proud. Timothy proclaims at times he can only get better! Yes Timothy, keep moving forward! Parental Warning: Often throughout The Odd Life of Timothy Green I assessed and struggled with my parenting choices, in a good way. Both Cindy and Jim struggle with how they want to parent especially in their instant kid scenario. They wish to avoid the mistakes they believe their own parents made. So they compensate, maybe even overcompensate to the opposite ends of what their parents did. And their opposing choices honestly have just as disastrous impact as those they are running from. I think in both cases what was missing was making parental choices that takes into consideration the unique qualities of the child. Sorry about climbing onto a soapbox there. But I think that this shows the serious content you will find in this Mousey Movie. To be completely honest, I am not sure if The Odd Life of Timothy Green is a buyer. It has a slow pace and is far from an action adventure. 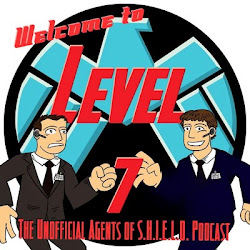 No one dressed in black ever comes from a mysterious government agency to take Timothy away. At the same time it is a tearjerker in a good way. And it is a film you can watch with the family especially if you have mature children that are able to understand complex issues. I admit I did not expect a “Walt Disney” production to make me reflect on my parenting choices in the depth that The Odd Life of Timothy Green led me to. I would recommend parents and future parents spend two hours with the Greens, but action fans will likely quickly loss interest.